My daughter, Elizabeth, was born on 20 December 2004 – the day that London submitted the bid for the Olympics. Elizabeth’s birth date qualifies her for the 2012 Children’s Promise and she took part in the opening ceremony of the Paralympics. Just after her first birthday, we noticed that a lump was forming in her left eye. 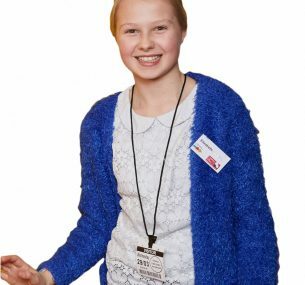 After a couple of appointments with an eye consultant and just before she was due to be transferred to Moorfields Eye Hospital in London, we were told that she had been diagnosed with acute lymphoblastic leukaemia (ALL). Elizabeth was immediately transferred to the John Radcliffe Hospital in Oxford where she spent the following few weeks. The two-year treatment regime that followed involved daily chemotherapy, which we gave her. Once a month she would go to Stoke Mandeville for a stronger dose and a five day course of steroids too. Every three months we would take her to the John Radcliffe for a lumbar puncture. She also had weekly blood tests. 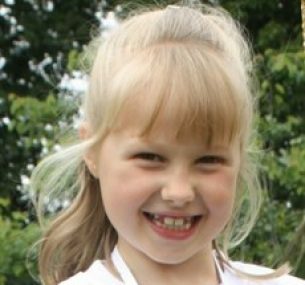 The blood samples would be taken using a Hickman Line in her chest – she’d had one inserted on her first visit to the John Radcliffe. Of course, she also had to take numerous different drugs over the two years. Since diagnosis Elizabeth has been in and out of hospital with various infections. Around a year after diagnosis, during the second of her two intensive treatment periods, she fell very ill and lost a large amount of weight very quickly. She had to have a nasal feeding tube fitted to help her regain her weight. She kept it for six months. 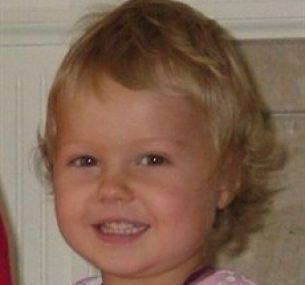 Despite this gruelling treatment at such a young age, Elizabeth has remained an extremely bright and bubbly little girl. She nearly always has a smile on her face and very rarely complains about the treatments that she had to go through. Our family life, of course, has had to change dramatically. Elizabeth’s five-year-old brother, Joshua, has had his life turned upside down by Elizabeth’s illness. Nevertheless he remains very worried and protective of her, especially when she has to go into hospital. Elizabeth is very prone to infections, so no swimming allowed and any crowded places are to be avoided. We have restricted our holidays to this country. Even on the two holidays we’ve had, Elizabeth has fallen ill and had to be admitted to the local hospital. 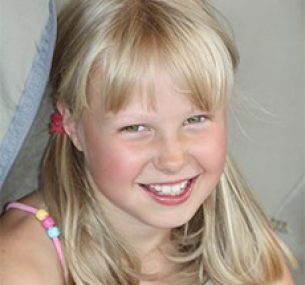 Elizabeth’s treatment finished on 30 April 2008 – a massive milestone for us, although we won’t stop worrying about her. 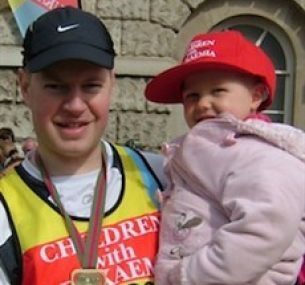 On 13 April 2008 I ran the London Marathon, supporting Children with Cancer UK. Since Elizabeth’s diagnosis, Fiona (Elizabeth’s mum) and I have received such amazing support from so many people and organisations. Completing the Marathon means that I can go a small way towards giving something back. I also hope to help prevent others from having to go through Elizabeth’s ordeal. Andrew completed the Flora London Marathon and raised over £3,000. Elizabeth has to return to Stoke Mandeville hospital once a year for a check-up, but thankfully she remains well. Looking at her you would have no idea how ill she was when she was younger. 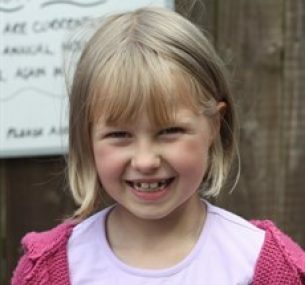 She enjoys school life, playing with Joshua and her younger brother Matthew (five), and has now learnt to swim. Since running the London Marathon in 2008 I have also run the New York Marathon in 2009, raising money for Children with Cancer. In 2012 both Fiona and I took part in the London Nightrider cycling challenge. Andrew and Fiona have now raised over £6,000. Elizabeth continues to do really well. She had her annual check up at Stoke Mandeville hospital in January and all is fine. She is thriving at school and loves the more non-academic activities such as sport, art, dancing and singing. She’s recently taken up horse riding and she is going to be in the school choir at the Royal Albert Hall in April. Elizabeth was diagnosed with ALL in 2006 aged 1. Two years of treatment followed of which she endured chemo, lumbar punctures and numerous stays in hospital. Thankfully she has been given the all clear and has gone on to lead a healthy life. She has started at secondary school, loves horse riding and is wanting to work with animals in the future. My brother and I are taking part in Ride London this year raising money for Children with Cancer UK. My wife Fiona, rode in it last year and at a similar time Elizabeth had her hair cut. So that she could raise money for Children with Cancer UK and The Little Princess Trust to whom she also donated the hair to make a wig. From memory I think they raised about another £1,000.